Josh Machiz is the Director of Corporate Communications and Social Media at NASDAQ OMX and is responsible for managing all of the NASDAQ social properties, experiential marketing and social media activations at NASDAQ MarketSite. In this role, Mr. Machiz is responsible for the IPO day social experiences and social advertising for new and established NASDAQ companies. Previously, Mr. Machiz was the Chief Business Officer for Frucher LLC, a consulting firm performing duties for NASDAQ OMX and the State of New York. Josh joined NASDAQ OMX in 2013, and has 7+ years of marketing and consulting experience. In addition to this experience, he serves as a board member of TEDxTimesSquare, as a board member he curates speakers, manages public relations activities and manages the social media properties for this premiere TEDx conference. 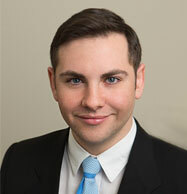 Josh holds an undergraduate degree in Microbiology from McGill University and an MBA in Finance & Marketing from Fordham University. In the spirit of ideas worth spreading, TED has created a program called TEDx. TEDx is a program of local, self-organized events that bring people together to share a TED-like experience. Our event is called TEDxTimesSquare, where x = independently organized TED event. At our TEDxTimesSquare event, TEDTalks video and live speakers will combine to spark deep discussion and connection in a small group. The TED Conference provides general guidance for the TEDx program, but individual TEDx events, including ours, are self-organized. All information submitted to this site is administered by TEDxTimesSquare and may be shared with responsible parties at our discretion, strictly within the Rules governing TEDx conferences as spelled out at www.TED.com.